In June we will celebrate the protection of culture, spirituality and diversity. 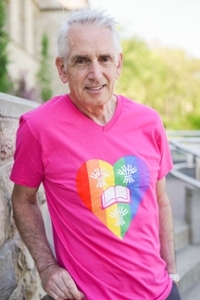 The University of Saskatchewan is committed to an inclusive and positive work and learning environment for everyone, including those who identify as gay, lesbian, bisexual, transgender, queer or two-spirit, as well as diversity as it relates to racial identities, religious beliefs, ethnic backgrounds and political views. Shop usask has launched their university pride tee’s! Purchase them in-store at our Shop usask Bookstore or at our Preston Crossing location or buy them online at shop.usask.ca before they are all gone! The university will donate $4 from every shirt sold to the USSU Pride Centre.